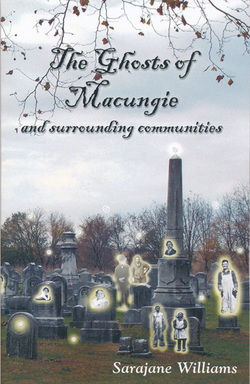 The Ghosts of Macungie and surrounding communities has just arrived from the printer and is now available. Copies may be purchased at our events and meetings, and we are contacting area supporters who may be willing to sell it at their place of business. We'll announce locations as soon as we have confirmation. The price is $12.95; members may purchase copies for $10 (prices do not include sales tax). Twenty-two charmingly written short stories relate unexplained events that have taken place nearby in hotels, homes, and out of doors. You will recognize many of the places in the stories.